A Moroccan dish bursting with flavors … sweet and spicy at the same time. 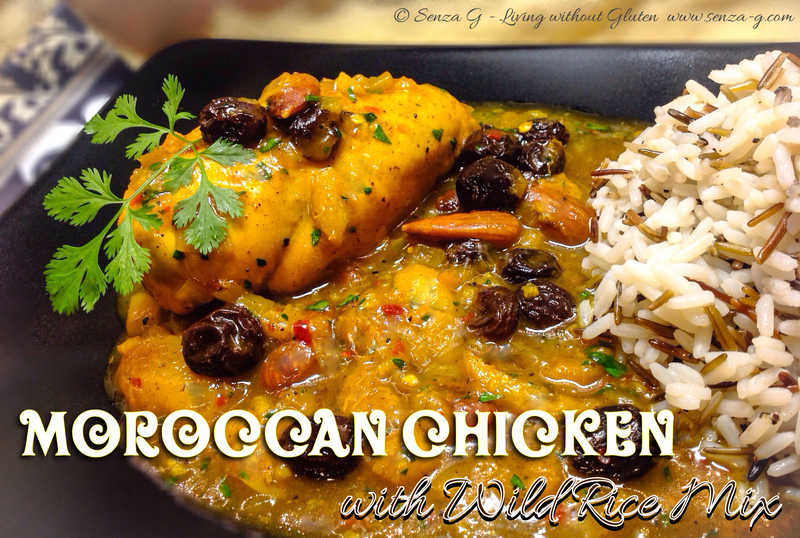 This is one of my favorite Moroccan Chicken Dishes. You can use chicken pieces, which will give better flavour because of the bones, or chicken breasts. Heat the oil in a large casserole and fry the chicken pieces or breasts till golden. Remove and add the onions and garlic. Cook until softened but not browned. Stir in the cinnamon and combine with the onions. Put the chicken pieces back in and add the saffron, almonds, apricots, raisins, chilli flakes, if using and stock. Heat until the stock is simmering. Cover the casserole and cook for approximately 1 hour until the chicken is done (chicken juices run clear when the thickest part is pierced with a knife). If the sauce is too liquid, mix a teaspoon of cornflour with water, add to the sauce and simmer for a few minutes to thicken. Season, sprinkle with parsley and serve with boiled wild rice mix.